You must make reservations at least 5 minutes in advance of the time at Atlantic Fish. Monday-Thursday: 11:30 a.m. - 11:00 p.m.
Friday: 11:30 a.m. - 11:30 p.m.
Brunch is available Saturday and Sunday from 11:00 a.m. - 3:00 p.m. Valet is available in front of our sister restaurant, Abe & Louie’s, two doors down at 793 Boylston Street. We validate after 5 p.m. Monday – Friday (you must enter the garage after 5 p.m.) and anytime on Saturday and Sunday for the Prudential Center Garage for up to $20 (four hours or less is $15/five hours or more is $20). Guests can use any entrance into the garage. Overnight parking is not allowed. Please present your parking ticket to your server. Served excellent drinks and wine. They were terrific about substituting side dishes for the Pre-set selections, and the sides were great. Atlantic Fish also was totally attentive to my wife’s garlic allergy. The problem was the boiled lobsters were overdone and tough. They replaced my wife’s small one with an appropriately cooked one. I didn’t push on my larger one despite their offer of replacement. In the end the manager removed all charges for the lobsters, which we thought was very upright and respectable. So I would try them again and appreciate their personnel who were involved. Food was good not great. Service very slow and inattentive. It seems to be a high standing restaurant, with high quality food. The kids got little creative toys they enjoyed the whole evening, and their plates ended empty very fast! The prices are quite high though, with not much in the plate. We had a reservation and were seated right away. 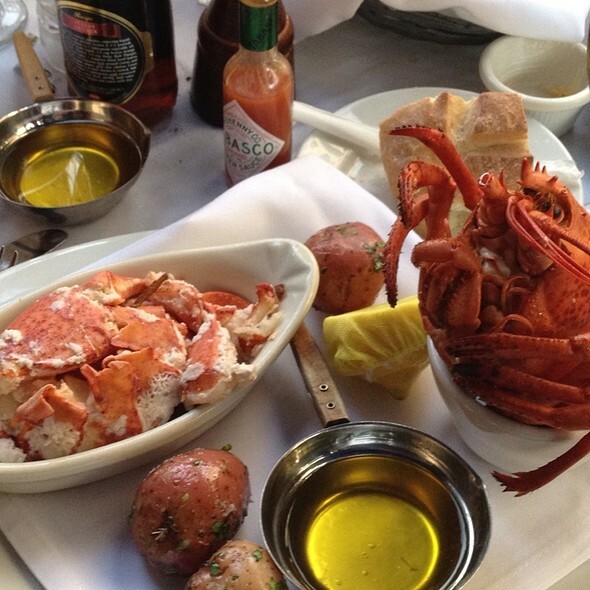 They have fresh seafood, good portions, and great service. The three of us were very happy with our experience at Atlantic Fish. All the food was delicious, from the bread to the salads to the shrimp scampi, cod and lamb/scallops surf and turf. Our waiter, Angel, was extremely friendly and attentive. The bacon wrapped scallops were delicious! Food and drinks were awesome. Definately recommend the Grapefruit Martini. Absolutely a wonderful experience as always. This is such a great place to have a nice dinner. It might be considered a little loud to be romantic however it is a lot of fun to have family together for a great dinner. I wouldn't suggest bringing small kids who get rambunctious or like to get up and run around. There is nowhere to do that. It's a very busy place and there is constantly hot food being delivered. 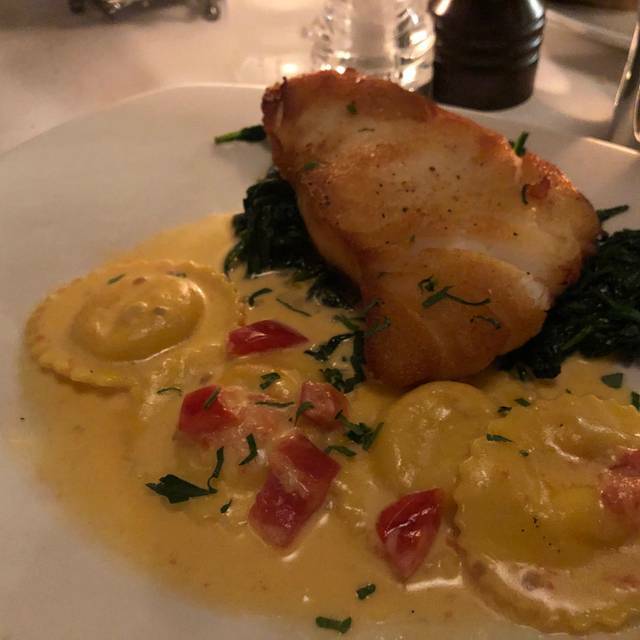 The fish do is to die for and as a heads up, if the pan seared sea bass is on the menu you have to get it! It's over-the-top delicious! Check the place out and enjoy! Myself and my husband had an absolutely beautiful meal here for Sunday brunch/lunch. The food and service were excellent. Would highly recommend this restaurant. Atlantic Fish is one of my favorite brunch destinations. I tried their Eggs Benedict for the first time the other day. I have never seen a smaller portion in all my years of eating Eggs Benedict (it used to be the only thing I ordered for brunch). The muffins were soggy, small, and thin and the ham didn't even cover the muffins (believe it or not). Then there was a small section with roast potatoes, barely warm. Hmmmm. I don't think I'll try them again. Very good seafood restaurant located in busy part of town. Food was delicious and service was fantastic. Make reservations as it is very busy and there was a two hour wait for walk-ins. I highly recommend it. Try the chowder! 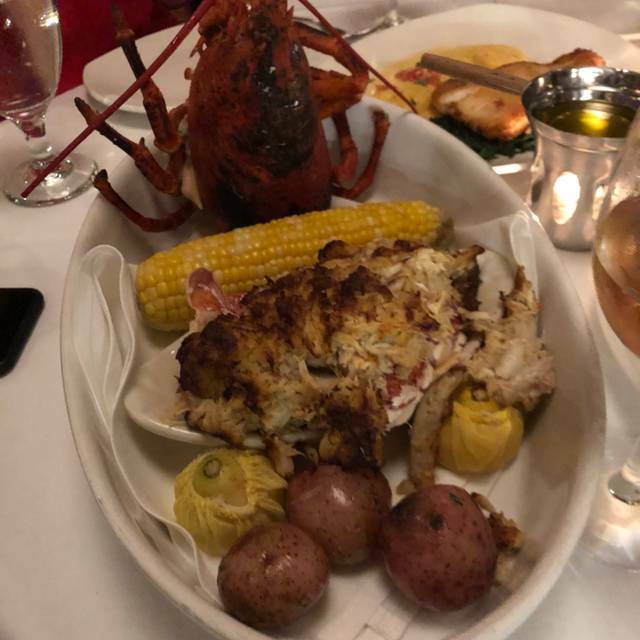 We had the New England Lobster Feast and it was great. Server was very helpful. 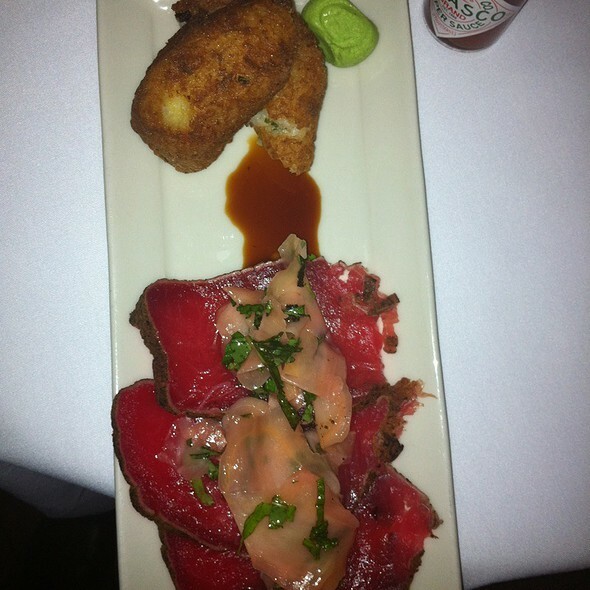 We’ve been looking forward to trying Atlantic Fish Co for some time now and they did not disappoint. We were seated immediately and cared for quickly. 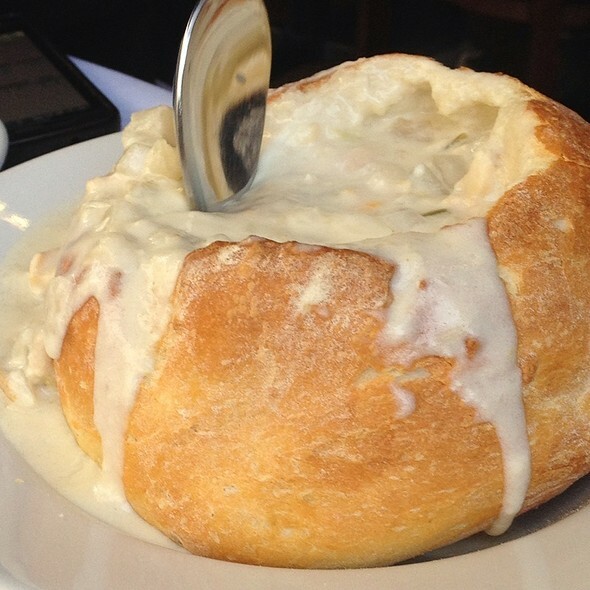 The clam chowder was delicious, and both of our entrees were everything we hoped and more. (We has the crab encrusted haddock & seared bass). The staff was friendly and attentive. We live in Texas but we’ll definitely be back when we are in Boston again. Everything about this experience was amazing. 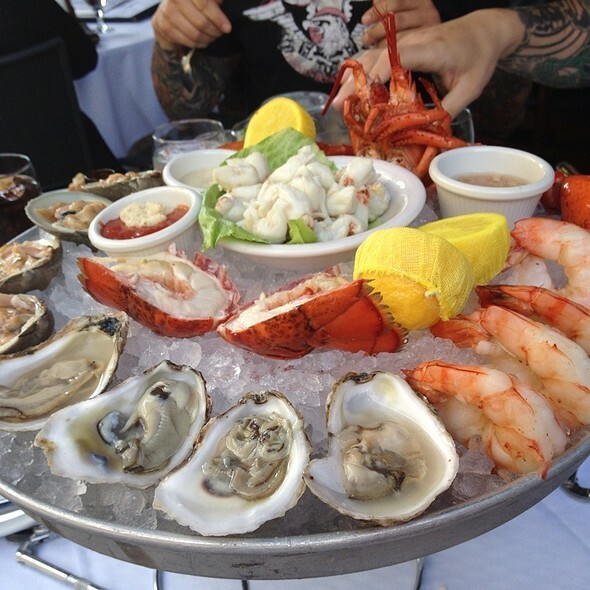 Very fresh seafood, kind and courteous waitstaff. We made a reservation and were sat immediately. Delicious food. Loved fresh catch of the day and fried oysters. Staff was courteous and friendly. Enjoyed our meal here. Food was good, especially swordfish. I found the lobster risotto was good but nothing out of the ordinary. Waitress was polite but I didn't like she straight away got us a bottle of water instead of tap water. Anyway, overall experience was ok.
Service at a very high level, which was a challenge with the restaurant being so popular. We had reservations but I overheard the walk in wait at 7:45 pm was 1 1/2 - 2 hours. Food and drinks were excellent as well. Maratona di Boston, festeggiato con un pranzo fantastico, ottimo locale, pranzo super, da consigliare. A must when in Boston. Lunch portion was great. Service was good. Delicious, and so full (of lobsters) after. We had the lobster risotto and the lobster ravioli. No room for dessert, sadly haha. Nothing bad to say about this place. Make sure you book a table. So delicious! Even the bread was amazing. Highly recommend the cod from the fresh catch! Very good American Italian Food, good ingredients, good service, nice setting. Second time visiting. Went for dinner last year before Boston Marathon. Dishes all great and our server was fantastic. Fresh fish selection is wonderful! One of best places in Boston for fresh seafood...and right near Boston Marathon finish line! Nice time, food great as usual, lots of people in town for the marathon. 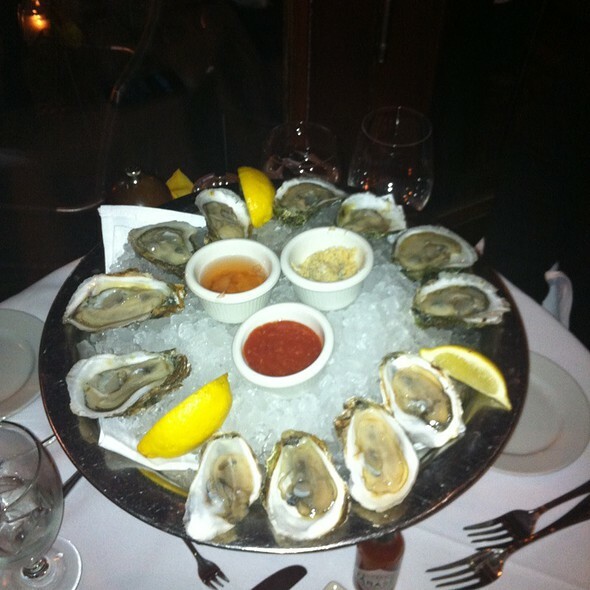 In fact I did recommend Atlantic Fish to friends. I had been there a year ago when in Boston, so when asked where to go this year by a group... this is where I recommended, and a couple more of us went than did last year. It was a little loud for our older ears, but we could "speak up" enough to hear one another. Food is superb. Staff is friendly and responsive. It's a nice sit-down place for special occasions. And to me, just being in Boston is a special occasion. I town to run marathon ! The food was delicious. 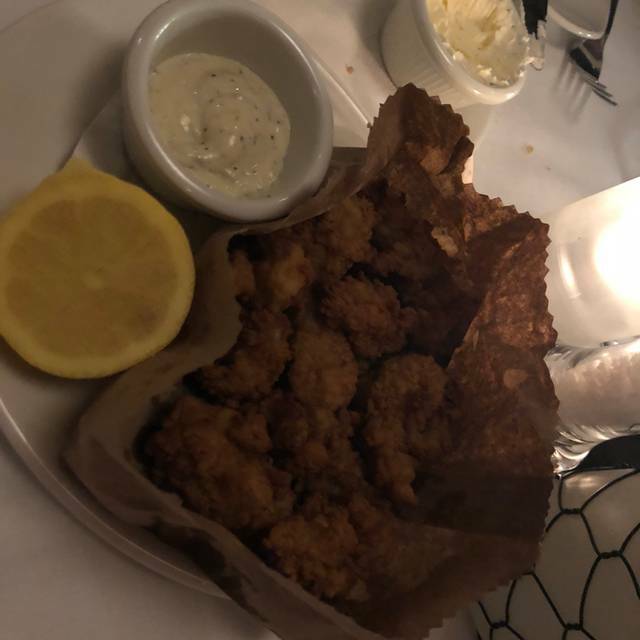 We got the calamari for an appetizer. The service was excellent. It was quite busy and loud, but it was the weekend of the Boston Marathon. Fantastic restaurant. Surprise occasion. Not too busy. Worth the price for the food. Terrific service. I wish you could eat there more but expensive. Atlantic Fish is never a disappointment. Fish is so fresh! We never miss an opportunity to dine there while in Boston.